As Victaulic gears up for the NFSA 2015 Annual Seminar & North American Fire Sprinkler Expo in Orlando this month, we thought it would be a great opportunity to interview a couple of the industry’s top professionals on the United Association (UA) Training programs and the unique partnership with Victaulic. Meet Ken Schneider, Director of Training for Sprinkler Fitter Local 268 in St. Louis, Missouri, and Jack Carbone, Senior Engineer at Victaulic in the Continuous Education and Customer Development group. I have been in the industry for over 30 years. I went into the apprenticeship in June 1984, served four years of apprenticeship (now it’s five) and worked as a journeyman running jobs for a local contractor, St. Louis Automatic Fire Sprinklers until 2003. I got involved in training in 1995 and I became a full-time instructor in 2003 and in 2005 I took the training director role. Can you tell us more about the new mobile training program? Yes, of course. Some of the idea came from this training center – the actual program here includes a series of valves (35 total), we originally started with 26 until we added 8 more in the middle on two roll-around stands. Mike Poston liked the idea of the mobility of the stands and came up with the idea of using them in a trailer. Mike is a training specialist with the UA International Training Fund. He asked if I was interested in helping to develop the idea, I have a bad habit of raising my hand and saying I will, so here we are. It has been challenging but at the same time, very rewarding. The idea around it was that we can move this trailer around the country and conduct training classes using all the modules inside, this trailer is set up with a pump, water tank, generator, the whole bit and completely self-contained. If you are in a place and want to roll them out of the trailer and take them inside of a building where you can either hook them up to a water supply or take them in and just use them dry to show how everything is installed, how it works and the technical aspects of the valves, etc. The system itself is very versatile. Quite a unique set up. When did this training program idea begin? Well it started on paper two years ago and a year later the decision was to move forward with it. We were supposed to get the trailer around June but didn’t make it until December. It was built out enough to take to San Diego in February so we could at least show off what the idea was. We had ten modules in place for that event, which was pretty amazing. How many have there been since February? Those ten modules are the only ones complete to-date but more are on the docket. The trailer will get back here around mid-April and at that time we plan to install a 500-gallon water tank and fire pump into it which will allow it to be self-contained so you can really just plug-n-play. Who should be attending this training? The idea when we put this together was to ensure that this was a training trailer and not a show piece, as it turned out it’s both. The feedback we got from training directors in San Diego was phenomenal on the craftsmanship and the thought that went into the modules. How it works is a UA local training department can request the training trailer and bring in their apprentices, journeymen and train them on the latest valves in the industry. They can bring in contractors to show them how we train and the end-users so they have the confidence to know that when we are installing these products on a job that we are trained and knowledgeable on these fire protection systems. Our instructors enforce the idea with the Journeymen and apprentices that when we install these life safety systems, we only get one chance to make it right and people’s lives depend on it! What metrics do you use to evaluate training? I am a big proponent of the apprentice contest. The reason why is because when you installed a job and it is time to commission the system, it’s just you, the valve and the Fire Marshal looking over your shoulder, so you better know what you are doing. When the apprentices are going through this contest they have to understand how these valves work. It’s just them, the valve and the contest judge looking over your shoulder. They know they have to be on their game with an industry professional watching them, so it is a good way to evaluate them. The more we train on these valves, the better they are at their jobs. We see how well they do in these contests and we see them rise to the top. For me I watch the light bulb go on. I see the moment when they finally get it and that understanding helps build up confidence. It’s really fun to watch. We have a scoring sheet that we have used for the contest, we use a revised version to evaluate the apprentice and journeyman training on the modules within this trailer. What do you see for the future of the UA training? The industry continues to change and Victaulic is definitely one of the leaders in the pack. 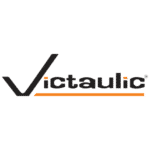 Victaulic has done a lot with valves; they came out with the original, improved upon the original and continue to look for new technology and new ways to advance the industry. Our job is to keep up with this new technology. For the future I see more of these trailers being built and utilized throughout the country and the new technology built within these trailers. It’s only going up from here. I think training for the UA has been our best-kept secret for way too long and it’s time to get the secret out! Can you talk more about your experience and relationship with Victaulic? This one is easy. We were very fortune to have Chris Stason as the Victaulic representative in our area. He was very proactive in the early stages of our relationship. When we were building this new training facility he knocked on our door and said, “Hope you guys know that we (Victaulic) would like to be the only coupling in this building, we want our product everywhere and we will certainly supply you guys with that equipment and any equipment you need.” That right there started one of the best relationships I have ever experienced with a manufacturer. From then on Chris and I would meet and talk about things for the future like how to combine our training efforts and so forth. For lack of a better word it was simply a match made in heaven. We worked hand in hand and continue to do so. The beauty of it all is we both get something out of it, Victaulic gets exposure and honest professional feedback on their products and we get a complete working knowledge of their products. It is a win – win for both of us. I can’t say enough about the whole team at Victaulic, really – Such a positive experience working with the likes of Chris, AJ Mitchell and Jack. Jack is great – such a hands on guy. What he has brought to training is incredible. I am definitely looking forward to the future with this partnership. Couldn’t have asked for a better leeway – thanks Ken! So Jack, how did the relationship with UA develop? Interesting story actually. It started in the late 1990s after the release of our original FireLock® dry, deluge and preaction valves, while I was with the Engineering Services group. I was brought into several Sprinkler Fitter Locals, including Local 268 in St. Louis to train journeymen and apprentices on our valves. Since then we have enjoyed a collaborative relationship with Local 268 and Ken who has generously allowed Victaulic to utilize their training facility for our own events – including the training of our sales staff. 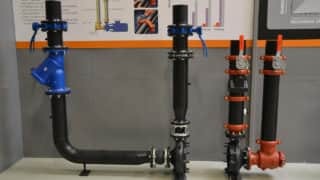 We also, more recently, became involved in the UA Instructor Training Program, which is hosted yearly in Ann Arbor, Michigan, and in the valve training initiative in which the UA asked manufactures to train their instructors on the proper installation, setup, and maintenance of their valves. AJ, Chris, Edison, and myself also got involved in the apprentice competition this past year through Ken’s involvement on the committee. What industry training is currently offered (both FP and other markets)? Currently, we offer a 3-day instructor training on our devices including the FireLock® fire protection valves – one of the major ones for the sprinkler industry. We do trainings on the VicFlex™ flexible sprinkler hoses and training on grooving and installation fundamentals in conjunction with the fundable kit. This training is offered to a variety of UA groups (not just sprinkler fitters) including pipe fitters, steamfitters, service technicians, etc. Those are just a few of what we offer right now but are always looking to add more. How many professionals have been trained to date? It’s difficult to say. We’ve trained over 1,000 UA members, but most of them have been instructors who take the courses that we then give back to their members (apprentices and journeymen). What has been the response so far? The response for the UA has been tremendous and overwhelming. The feedback that we’ve received from the training events has been extremely positive. The committee has been very vocal in informing the instructors, business leaders, etc. of our efforts and we sincerely appreciate that. What is the overall goal from Victaulic’s perspective? The overall goal is we are looking to partner with the UA. This group is the most educated workforce that utilizes Victaulic products. Training their instructors and supplying them with the tools and products to best train their apprentices ensuring that the workforce is fully up to-date on the proper use of our products, as well as the benefits of our products over competitive ones, is important to us. We couldn’t ask for a better partnership and look forward to many more years with the UA. If you are attending this year’s NFSA Annual Seminar and North American Fire Sprinkler Expo then be sure to stop by Victaulic’s booth (#300) to talk with Chris about all of the UA training programs Victaulic offers and/or any of the products mentioned above. If you are unable to go this year be sure to follow Victaulic on Facebook, Google+, LinkedIn and Twitter for live updates from the show floor and updates on upcoming training opportunities.